SANNIT is the leading manufacturer, exporter and supplier of Semi-Automatic Tablet Inspection - Storing System . 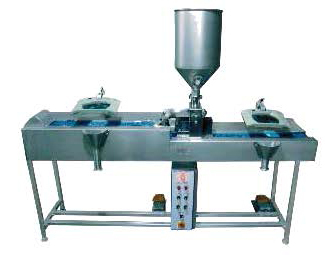 Tablet Inspection Machine is used for visual Inspection of all size Tablets and manually sorting damaged tablets. This is two-head inspection machine. Material : Contact parts Stainless Steel 316 quality & Non contact part Stainless Steel 304 quality. Inspection Lamp : ESD Safe Rectangle Magnifier Lamp 5* Diopter 2CLF Lamp with Flexible ARM & work on 220V AC 50Hz- 2 Nos. Hopper : S.S. 316 Tablet Feeding Hopper- 1 No.